Carlos joined the Rhodeside & Harwell team in September 2017. He is an energetic, driven, and determined individual with a can-do attitude. Carlos has built his experience with multiple accounting firms, as well as through prior experience in government billing. His responsibilities at Rhodeside & Harwell are focused in Billing, while also supporting Accounts Payables and Receivables. Drew serves as a landscape designer and project manager with Rhodeside & Harwell and is a registered landscape architect with 17 years of experience. He has managed a wide range of projects and collaborated with a variety of multi-disciplinary design teams. Drew works closely with clients and stakeholders including private developers and government agencies. With the recent projects in his portfolio, Drew has focused and developed his knowledge of urban streetscapes and plazas, federal facilities, and construction administration. He has experience in analysis, conceptual design, design development, construction documents, and construction administration. If I could make the whole world Streamline Moderne, I would. Or maybe Steampunk, but probably Streamline Moderne. Jon is a landscape designer with Rhodeside & Harwell and brings a passion for urban placemaking in the public realm. During his time as a Virginia Tech student, Jon researched opportunities for adapting suburban commercial corridors into engaging people places. This research has helped cultivate his desire to create socially and ecologically healthy landscapes in the urban public realm, from the scale of the city to the detailing of a delightful bench. He has worked with a design-build company in Pennsylvania, interned with Raymond Jungles, Inc in Miami, FL, and has studied abroad in Italy, Switzerland, and Germany. At Rhodeside & Harwell, Jon has drawn on these experiences of seeing, understanding, and creating to serve as a project designer on various US Embassy projects around the world, public streetscapes, campuses, and park and waterfront projects. Rachel came to Rhodeside and Harwell in July 2016, after earning a master’s degree in landscape architecture from Harvard Graduate School of Design and a bachelor’s of fine arts in sculpture from Virginia Commonwealth University. While completing her degrees her studio research focused on memory, materiality, and storytelling. She is particularly interested in historic sites and preservation, and revealing unexpected histories in the landscape. Loves taking audio recordings of family stories and knows how to weld. With over 10 years of combined work experience, Qiaojue Yu has been involved in a wide variety of domestic and international projects, including urban design, public parks, campuses, residential and retail, as well as community planning. Her work on site-specific designs reflects her passion to celebrate the historical, cultural, sustainable and human elements of a project’s setting. She also specializes in the implementation of projects, having won several awards for her work. She is currently managing multiple projects for Rhodeside & Harwell. Family history is 300 pages thick and spans 2000 years. Max joined the Rhodeside and Harwell team in June 2016. He is an urban designer and planner who strives to keep cities dynamic, resilient and human-centered. While completing his degrees, he worked to develop a photo profile campaign to highlight small business owners in an evolving inner-ring suburb. Such projects have strengthened his interest in the relationship between the built environment and human behavior. He believes that the planning process works best when it is transparent and actively promotes citizen participation. Loves exploring hidden urban places on his motorcycle. Kenny is a Landscape Designer who joined Rhodeside & Harwell in August 2017. He is from central Mississippi where he received his Bachelor of Landscape Architecture from Mississippi State University. Prior to joining RHI, Kenny worked in a small design firm in Houston, Texas where he focused on public parks and tree preservation. His passions include urban design, green infrastructure, and creating sustainable public places. Enjoys woodworking and plays the drums. A sense of spaciousness and simplicity, drawn from the North Dakota landscape of Derrick’s childhood, is a source for his unique approach to design. He returns to this sense as he moves through a process of freehand drawing and thinking to produce expressive graphics, detailed construction documents and fresh contemporary places. Derrick’s unique skill is working within a team to focus on the most direct design statement and keep the initial design spontaneity alive. One example of this ability is the Tysons Corner Tower landscape. The Tyson’s project engaged a very large and diverse team of client groups, architects and engineers. Serving as project designer and project manager, Derrick created a sense of variety and continuity across this large elevated urban landscape while keeping true to the original design spirit conveyed through his drawings. As Accounting Manager, Jennifer Glaser provides the mentorship and coaching to bring creativity to profitability. With Jennifer’s persistence and diligence, she has become invaluable in keeping Rhodeside & Harwell well-organized and running smoothly. Specializing in small business management, she brings over 20 years of experience with accounting, human resources, and management. Jennifer’s management talent is indispensable, and her friendly humor and skills are a welcome addition to the studio. Co-ed floor hockey team player and Star Wars fan. It’s a great feeling to work in a field that I feel so perfectly suited. Landscape Architecture satisfies my need to create and improve our environment. With more than 28 years of design and management, Kevin is a design expert who leads multi-disciplinary teams from creative vision through final constructed reality. As a principal with Rhodeside & Harwell, Kevin’s work spans the globe, with successfully built projects from Monterrey, Mexico, to Islamabad, Pakistan, as well a diverse mix of work in the Mid-Atlantic region. His portfolio is noted for its range, including urban parks, historic sites, streetscapes, secure environments, and campus settings. He is a national expert in designing contextually appropriate settings for American embassies throughout the world. His projects integrate a high level of security with local craftsmanship, native plantings, and sustainable strategies. As a design leader for the firm, Kevin’s philosophy is driven by a need to find the spirit of a site and create purposeful landscapes that are meaningful and contextual. Whether urban, civic, or campus environments, his designs elevate the context, history, and function of a specific site–making his work always about the place. He is known for his pragmatism, craft, and competence. His nearly three-decade long career has shaped him as a strong leader who provides a clear, consistent approach to the management of large teams, noted for his detailed oversight through the final production and construction phases of project delivery. Faye Harwell co-founded Rhodeside & Harwell 30 years ago and has designed award-winning projects throughout the United States, Canada, and overseas. Her work reflects innovative concepts in sustainability and demonstrates that new and historic landscapes are equally compatible with ecological design and the creation of vibrant, new places for people to enjoy. Faye’s expertise and passion for creating new landscapes and restoring historic properties has transformed diverse nationally significant sites, including the US National Arboretum, numerous national parks, US embassies in Indonesia, Malta and beyond, and the George Mason National Memorial, Washington, DC. Faye, holds the honor of being one of only three women to ever lead the design of a national memorial on the National Mall, earning praise from design critics, news media, and park visitors. As a student of Ian McHarg, and with her background in art history, Faye recognizes that landscape architecture has both functional and artistic consequences; it is intimately responsible for perception of a site’s historic, cultural, and natural context. Ecological resiliency, cultural resource preservation, and construction craftsmanship frame her dynamic and continuously evolving body of work in the public realm. A Fellow and a former Trustee of the American Society of Landscape Architects, Faye is a role model for the profession and a mentor for young landscape architects. 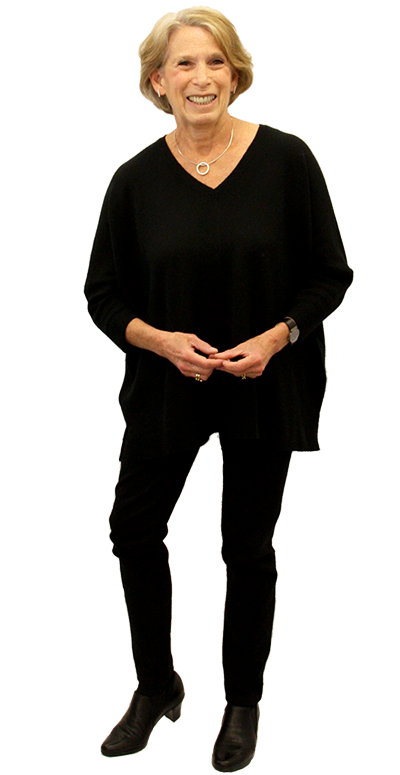 She has appeared in films on the subject of landscape design, has frequently spoken and lectured at universities and institutions in the US and Canada and is a board advisor to the National Association for Olmsted Parks. Faye is an energetic practitioner who continues to be at the forefront of design in landscape architecture with a vision that artfully creates and restores memorable landscapes for the 21st Century. Faye loves ballet, speaks French and is a pretty good cartoonist. Elliot had a dream over 30 years ago of establishing a noteworthy multi-disciplinary landscape architecture, planning and urban design practice. Through collaboration with his founding partners, Deana and Faye, he has realized his goal: the creation of a talented, respected firm with an outstanding staff doing creative and carefully considered work locally, nationally and internationally. Elliot is passionate about landscape architecture. He grew up wanting to be an architect initially, then evolved that dream into fine arts and industrial design. After hearing a lecture by Ian McHarg when he was a sophomore at the University of the Arts, however, he was inspired to pursue a different career in “the arts” — a Masters in Landscape Architecture from the University of Pennsylvania. Following more than a decade of practice in Philadelphia, London, Boston and Washington, DC, he and his partners established Rhodeside & Harwell in 1986. Following his life-long interest in the diverse challenges presented by different scales of work, Elliot currently leads design and planning projects ranging from gardens to regions. He is happiest when the projects are complex, the stakeholders are many and the assignments are full of challenges. He loves mentoring staff and maintaining a high creative bar from which each project is measured. He is proud of his and his firm’s work and the positive impacts it has had on the lives of many. A passionate, proud designer who loves nothing more than sharing his dreams and ideas with the people he works for and with. For at least the past three decades, Deana Rhodeside has been interested in the creation of plans that strengthen our cities and their communities, and encourage places of personal satisfaction and collective well-being. Through her experience in both community planning and urban design, she has directed many broad-based initiatives focused on creating “sense of place” in ways that reflect the culture, history, socio-economic challenges and desires within each community. She is adept in designing an engagement strategy for each project – whether a corridor, a neighborhood, a downtown, or a public space — that uniquely responds to the issues inherent in that particular task. Working in major metropolitan areas, including urban centers such as Washington, DC, the Atlanta region, Boston, New York and London, Deana’s work has ranged from master planning and environmental analyses, to community resilience, sustainability and visioning. Her experience in creating inspired and engaging urban settings has included many projects in aging communities, along major transportation corridors, and on historic and environmentally sensitive properties. Her work is based on the belief that an educated public – one that is aware of the interrelated consequences of design decisions – is one that is able to make responsible and enduring decisions about its future. Plays the piano for pleasure and a challenge. With a career in landscape architecture that spans 37 years, Mark Mastalerz has directed many acclaimed planning and design projects throughout the eastern United States and overseas. He serves as managing principal and technical director for Rhodeside & Harwell, and plays an instrumental role in setting meticulous standards for all phases of project deliverables. Mark is adept in coordinating multidisciplinary teams, and has extensive experience in projects ranging from residential gardens, parks, and recreational areas to large-scale commercial developments, ambitious institutional and governmental projects, and major transportation initiatives. Mark is knowledgeable in all aspects of sustainable design in landscapes and hardscapes, and has completed several innovative projects emphasizing green strategies. He is also proficient in the integration of landscape design elements that enhance privacy and security, and has completed numerous secure projects throughout the world. He recently served on the Board of Trustees for the American Society of Landscape Architects (ASLA), representing the Potomac Chapter. An avid theater-goer, Mark is a volunteer usher at several DC area non-profit theaters. After graduating from Iowa State University with a BLA and Minor in Horticulture, he ventured east and started his career with well-respected Engineering Firm Greenhorne & O’Mara as a site planner where he developed a broad range of technical knowledge. With RHI, Kurt has over 20 years of experience leading diverse projects from design through construction for local colleges, universities, arboretums, and embassies worldwide. He understands how complex landscapes are designed and built, and always advocates for sustainability. Likes to get lost in the garden. Jules Krinsky is a creative problem solver, landscape architect and urban designer. Prior to joining Rhodeside & Harwell, Jules collaborated with private developers and public agencies to create residential and mixed-use neighborhoods. His passion for urban form lead him to pursue a Masters in Urban Design at Georgia Tech. While studying at Georgia Tech, he traveled throughout Europe, researching historic and contemporary urban stormwater infrastructure. This research has helped inform his design philosophy, to create places that balance both ecological and human needs. At Rhodeside & Harwell, Jules works on projects ranging from small local parks to US Embassy projects around the world and everything in between. Eric is an AICP-certified planner with experience ranging from land use planning, urban design and neighborhood revitalization to environmental impact analysis and public realm design. He has served as a project manager for numerous small-area plans, urban design studies, environmental assessments and multimodal transportation plans. Having joined the firm in 2004 after working on national efforts to promote smart growth and healthy communities, Eric is a big-picture thinker who can transition seamlessly from policy considerations to intricate design details. He values the process of collaborating with diverse groups of stakeholders and facilitating community decision-making by translating complex technical considerations for a variety of audiences. In an alternate life, Eric might have become a food writer or music archivist. Becky came to Rhodeside and Harwell after earning a master’s degree in landscape architecture at Virginia Tech’s Washington-Alexandria Architecture Center. Her interdisciplinary background—which includes language studies, international development, and sociology—has helped to shape her holistic approach to design. She is particularly interested in the potential of design in urban settings, where people live in close proximity to one another and open space is limited. At Rhodeside & Harwell, Becky’s work has focused on designing streetscapes, urban parks, and institutional campuses, as well as developing narrative and visual content to effectively convey design concepts to clients and the public. Enjoys making pottery in her free time. Tianying came to Rhodeside and Harwell in October 2016, after earning a master’s degree in landscape architecture from Rhode Island School of Design and a bachelor’s engineering in Landscape Architecture from Nanjing Forestry University. She did her thesis on proposing a first step in addressing the clean-up and re-valuing of the Anacostia River. The proposal is for a 4-acre planted filtration basin surrounded by a floating walkway, a refurbished pier and a transparent shorefront walkway through which visitors can witness the interplay of river movement, floating material and riverbank. She is particularly interested in interactive design for children or pets, as well as cross-pollination between neighborhood community in urban planning. Jennifer Koch is an urban planner and project manager driven by a desire to promote community development and resilience, public engagement, active transportation, and environmental protection. She is passionate about finding pragmatic yet innovative solutions to problems, and fostering places that are both functional and beautiful. Jennifer works to ensure that community members have their voices heard, and that they are involved in making decisions that affect their quality of life. She has previously worked with the Transportation Research and Education Center in Portland, Oregon; the China Academy of Urban Planning and Design in Chongqing, China; and Environmental Protection Agency in Washington, DC. Sings show tunes to herself on her bike commute. Architect -turned-urban designer believes that designing places begins with people - and an understanding of context. In a career that spans continents, sectors, and diverse contexts and scales of design, Sukirti’s work is driven and united by his passion for urban life, “people places,” and research-informed design. Trained as an architect in his native India, Sukirti has since devoted his career to planning and urban design, as both a public sector planner and private sector consultant. His work is grounded in his belief that learning is a lifelong endeavor, and that a successful planning and design process must begin with understanding—and learning from—the people and particular context of each place. He has managed diverse and award-winning projects, ranging from citywide comprehensive plans, downtown and corridor plans, and transit-oriented development strategies, to design guidelines, streetscape master plans, site redevelopment, and architectural design. In particular, much of his work has explored the intersection between physical design interventions and economic development strategies for rejuvenating cities, towns and urban districts. With an educational background in both architecture and planning, Sukirti excels at making connections between micro-level design details and broader, multidisciplinary considerations at the neighborhood, city and regional scales. He is also noted for his creativity and ability to express ideas through graphics. Whether he is preparing sketches and 3D visualizations to communicate urban design visions, or producing oil paintings, watercolor renderings and graphic designs in his spare time, his graphics are infused with a visual artist’s perspective. A regular participant in design competitions, Sukirti has received a number of honors in such competitions in recent years. A good weekend involves lots of paint-splatter. Ms. Zimmerman has deep experience in research, historic preservation, ecological restoration, urban park planning, and design and construction. As a former park manager she was tasked with defining maintenance, listening to and educating the public; dealing with bureaucracy and government regulation; and accommodating changing use patterns and budgets. She recognizes how essential our green space is to the health of an area as well as the difficulty in preserving it properly. During her career her teams have won 14 awards for design, historic preservation/reconstruction, ecological restoration and adaptive re-use. Prefers Tab and Fritos over coffee and cornflakes. Anna Bentley is a certified planner with experience in project leadership, research, analysis, writing, policy development, and community engagement. She has extensive land use, park, and transportation project experience. Anna’s work emphasizes long-range land use planning and policy, coordinating planning and zoning, parks and recreation planning, community engagement, and transit-oriented development (TOD). Anna thinks strategically, collaborates effectively, and communicates clearly. Past employment in the public, private, and association sectors allows Anna to achieve results in a variety of environments. By day, we are landscape architects, urban designers, and planners with a cross-disciplinary perspective. Outside the office, we are engaged citizens who share a passion for urban life and a commitment to addressing diverse challenges, one place at a time. Rhodeside & Harwell began 33 years ago when planner Deana Rhodeside, PhD, joined landscape architects Faye Harwell, FASLA, and Elliot Rhodeside, FASLA, to create a multidisciplinary firm that places people and their needs first. Faye Harwell’s emphasis on exquisitely-crafted built work balanced with Elliot Rhodeside’s big conceptual thinking proved to be a potent combination. Deana’s background in research and psychology shaped the firm’s conviction that listening can be transformational; the best designs emerge out of a process that meaningfully involves clients and stakeholders. From the beginning, the firm’s commitment to collaboration drove its innovative projects. We believe we are better designers because we are planners; better regional thinkers because we understand the details that make great gardens; and better contemporary designers because we are students of history. Today Rhodeside & Harwell has grown to a firm of 29 people with offices in Alexandria, Virginia, and in New York City. The firm is now made up of landscape architects, designers, planners, urbanists, historians, mobility experts, and horticulturists dedicated to the idea that livable cities are the most sustainable human habitats. Our office culture cultivates a studio environment that values fun, curiosity, and discovery. The Plan.Place Blog spotlights our recent ideas and discoveries. Accolades for design and planning excellence. We love to meet extraordinary designers, planners and individuals. Click here to submit resume and portfolio. Less than 10mb please.